Well, I think it went okay, and I made sure I followed the instructions from the recipe. There were a few recipes I found on Pinterest and each one had something different in their method. I’m pleased with how this Chocolate Mint Pavlova turned out but would like to give it another go. There wasn’t a lot of marshmallowy thickness in the middle of the pav, so I think that I didn’t get it in the oven quick enough. I was taking photos during the process of making the Chocolate Mint Pavlova, so I think that might have ruined it. Everyone enjoyed eating it though and want me to make another one. That to me is a great thing! 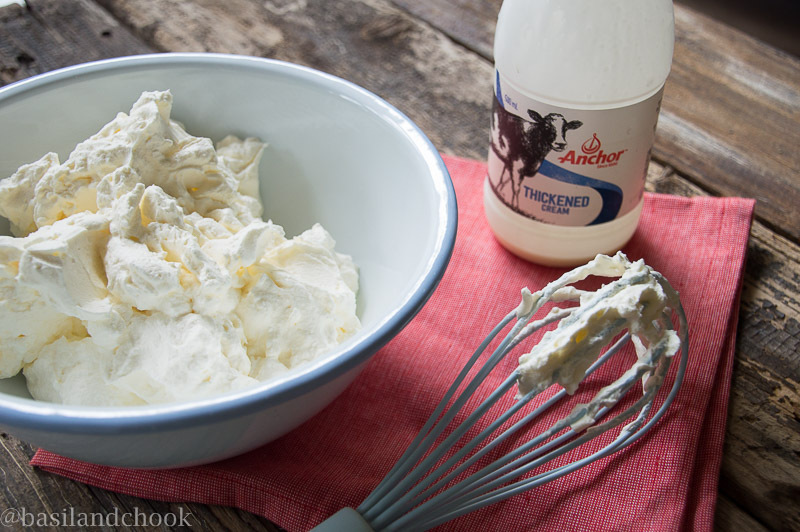 Along with making the Chocolate Mint Pavlova, I also got to try out the new Anchor Cream range. 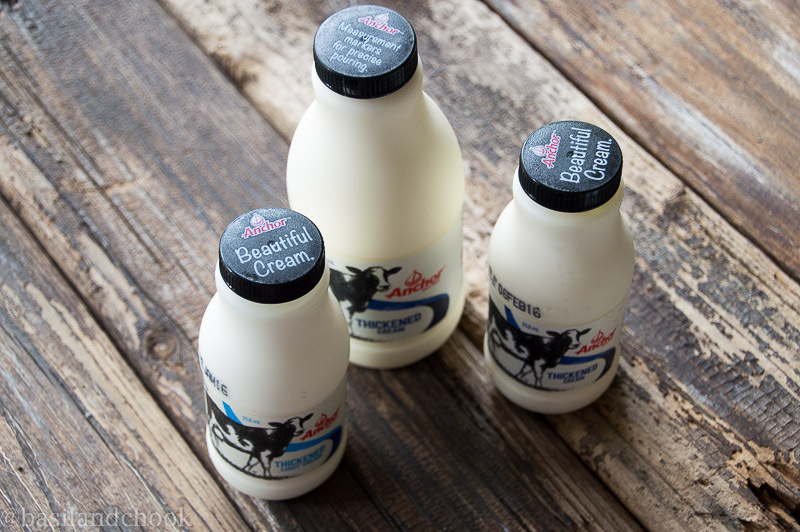 It uses only the best Australian Dairy from 34 dairy farms in Victoria and is designed with foodies and cooks in mind. There are measurement markers on the side of each bottle, similar to what is on butter packaging. They also have screw top lids which I thought was fantastic. There have been a few times when the cream bottle (with the flat top that doesn’t sometimes go back on correctly) has fallen over in our fridge and nearly lost most of its content. It’s not fun cleaning that up. And another bonus is that you can get two perfect sizes of 250mls and 500mls. There have been countless recipes that I have baked which just requires just a cup, and I have had to use a 300ml carton, and then I am left with 50mls. I don’t like to say it, but I have sometimes forgotten about the leftover 50 ml and have had to throw it out. I used the 500ml thickened cream for the Chocolate Mint Pavlova recipe, and it whipped up beautifully. I made a Potato oven dish the other night, and I used a 250ml light thickened cream. I was very pleased with the result as it was just as good as the thickened cream. 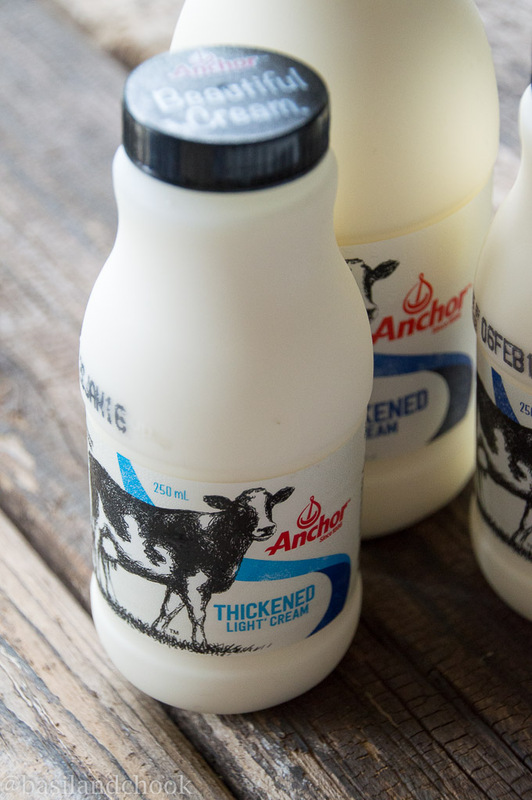 The new Anchor Cream range contains Pure, Thickened and Light Thickened Cream to suit every cooking experience. They are available exclusively at all Woolworths nationally. 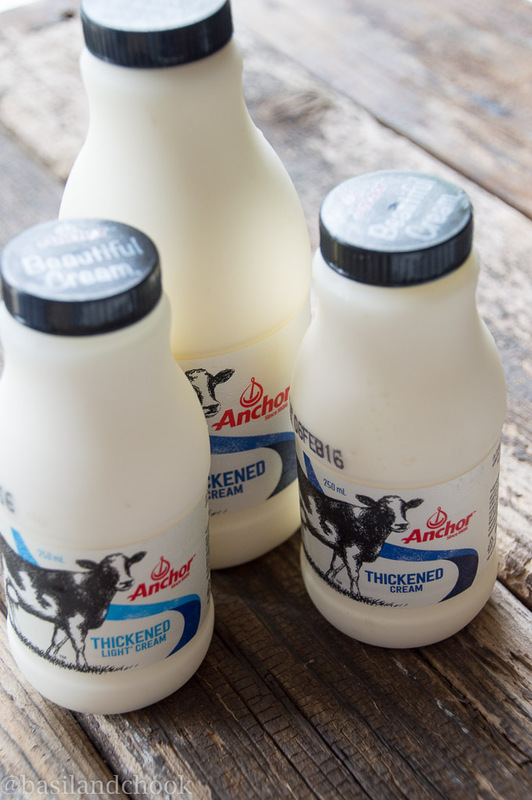 For more information about the new Anchor Cream range, you can head over to their website here. They have some delicious recipes to check out as well! The cream range will be hanging out in our fridge, and I’m looking forward to getting stuck into another recipe using this 100% Australian dairy cream. 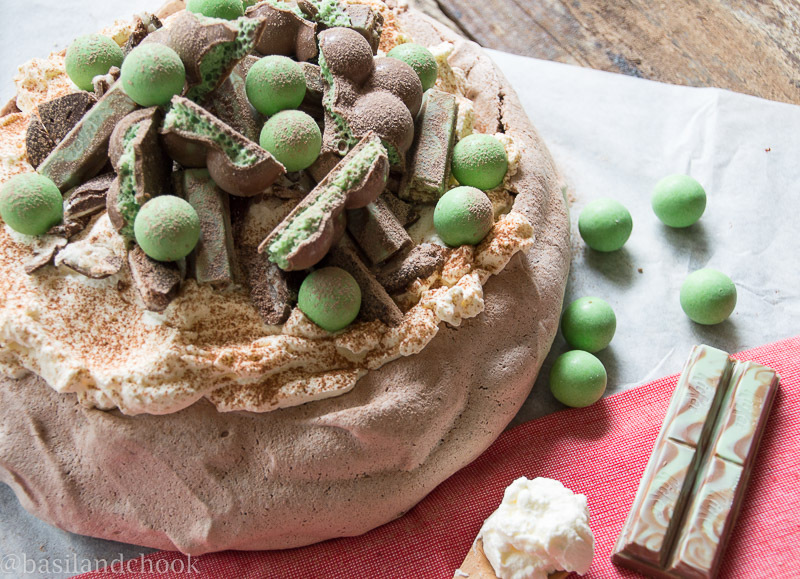 A delicious and decadent dessert of Chocolate and mint put together in a Pavlova! 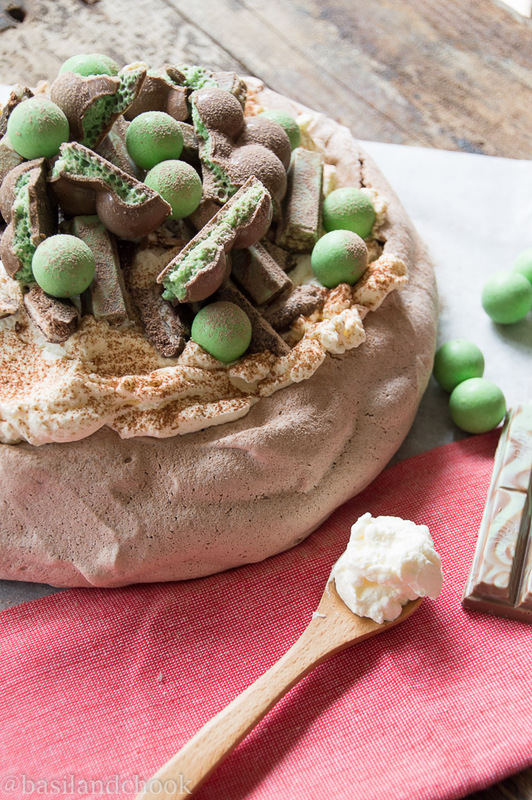 To serve, gently top with the whipped cream and arrange all the delicious mint chocolates! Have you made your first Pavlova? Do you have any Pavlova baking tips? 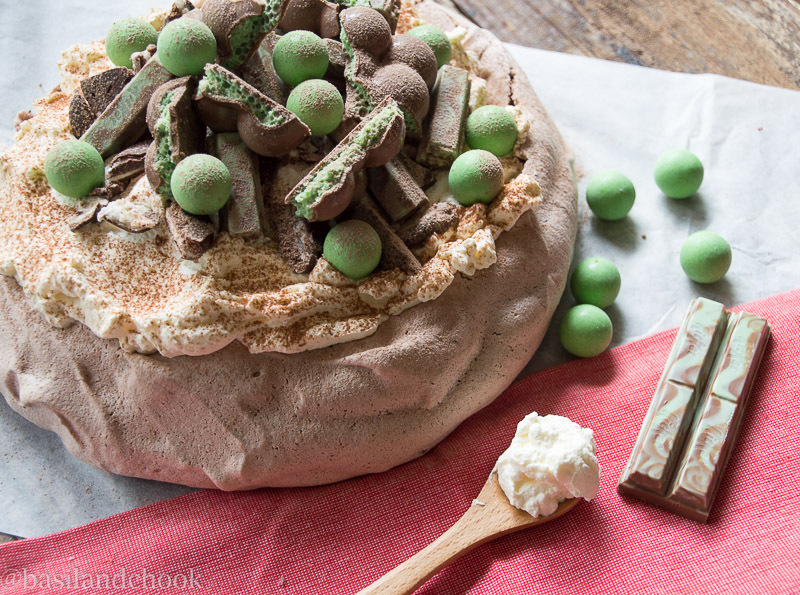 Chocolate and mint pavlova? Its sheer brillance! Gorgeous pics too! Pinned!